The Golden Bean is the world’s largest coffee roaster competition and conference. 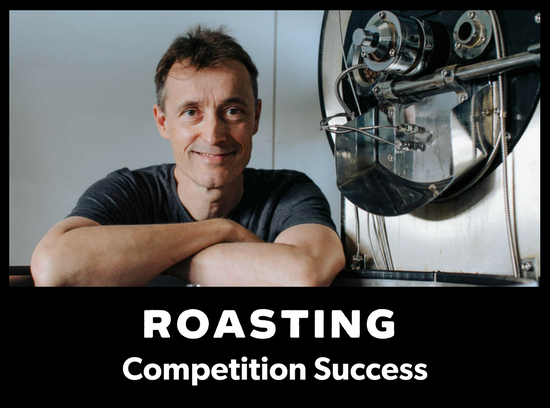 This competition endeavours to find Australia’s best coffee roasting business with coffees being judged as espresso, milk and filter beverages. Entering for the second year, we were delighted to come away with three bronze medals – one in each of the categories. Our Pretty Things blend achieved a medal in the milk category, while Heroes blend was sucessful in the espresso category and our newest single origin, Ethiopia Kochere was successful in the filter category. All of these coffees are available on our website or come and try them with us at one of our events over summer – coming up first is the Denmark Arts Market on December 9th.